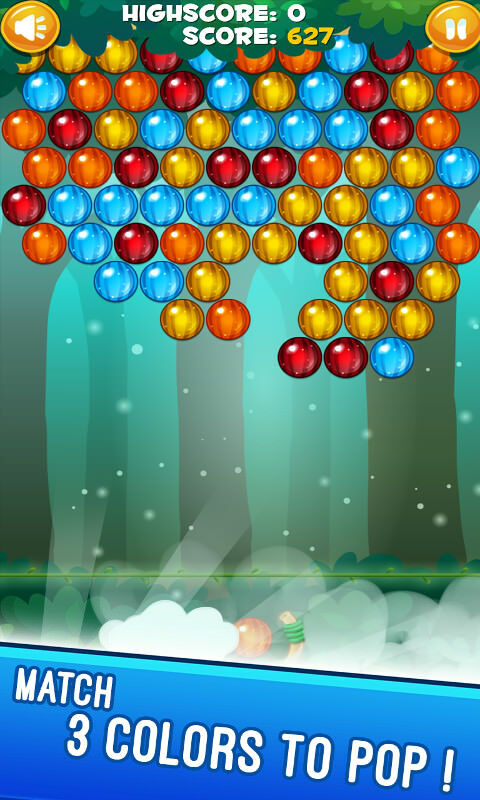 Bubble Shooter is all about collecting as many points as possible. To get points you need to destroy the colored bubbles. In order to burst those bubbles you need to row/connect at least three bubbles of the same color. 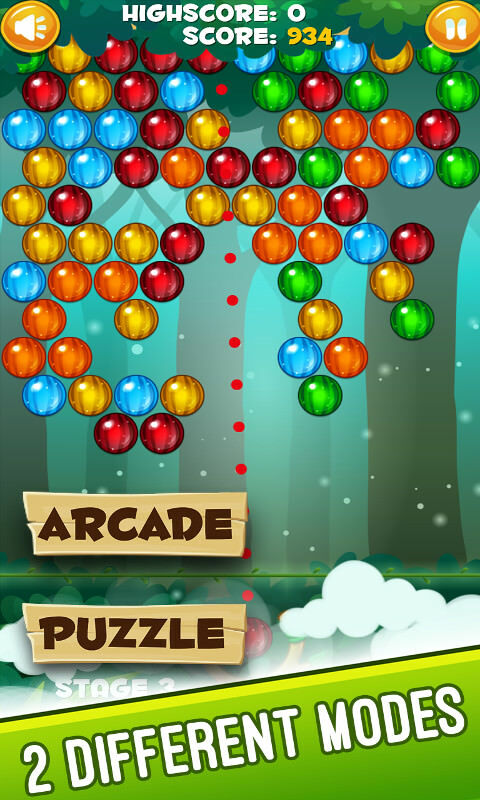 In the bottom center of the gaming screen you will find an arrow. You can change the direction of this arrow point and shoot the bubble. In hard to reach shots you can bounce bubbles off the walls to get into those tight places. Bouncing the bubbles off the walls is like playing pool, the bubble will bounce off the wall at the same angle it hits it. 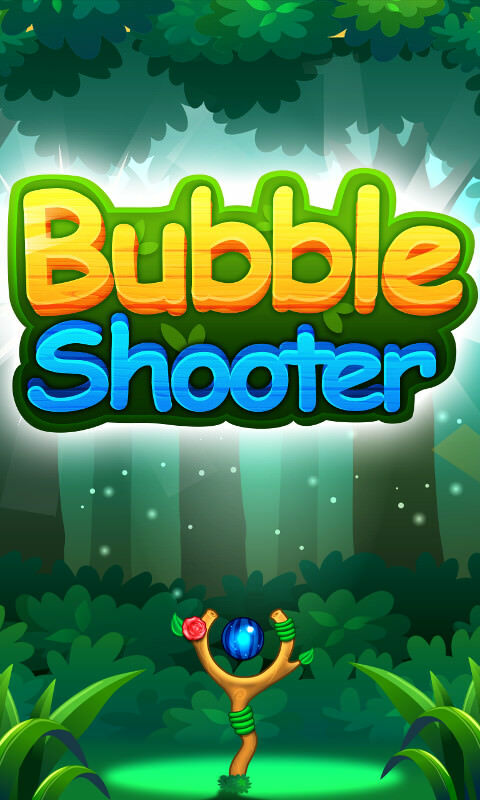 Bubble shooter has two exciting game modes - Puzzle mode and Arcade mode Breaking the bubbles continuously can get points as bonus! 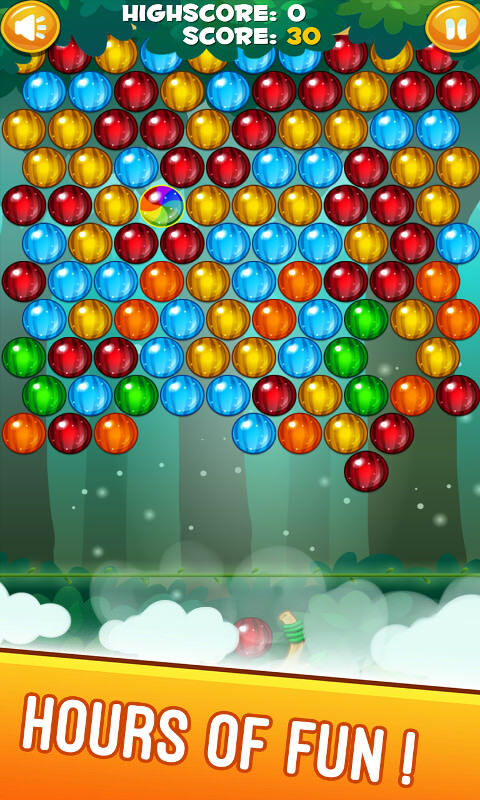 Have fun playing Bubble Shooter, but be warned, playing Bubble Shooter is addictive! 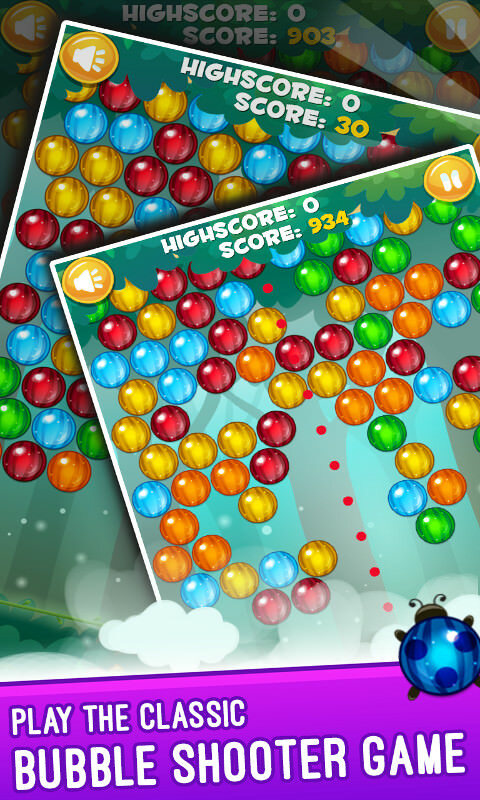 Download our Bubble Shooter game for free today! Enjoy shooting bubbles!